Scholars have devoted considerable energy to understanding the history of ethnic cleansing in Europe, reconstructing specific events, state policies, and the lived experiences of victims. Yet much less attention has been given to how these incidents persist in collective memory today. 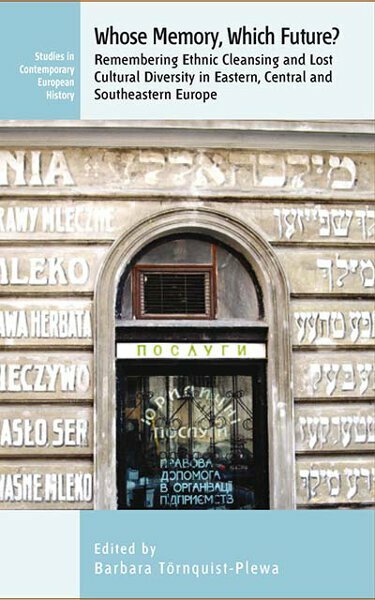 This volume brings together interdisciplinary case studies conducted in Central and Eastern European cities, exploring how present-day inhabitants “remember” past instances of ethnic cleansing, and how they understand the cultural heritage of groups that vanished in their wake. Together these contributions offer insights into more universal questions of collective memory and the formation of national identity. Barbara Törnquist-Plewa is a professor of Eastern and Central European Studies at Lund University in Sweden. In the years 2005-2017 she was the head of the Centre for European Studies in Lund., 2012-2016 she led the European research network “In Search for Transcultural Memory in Europe” financed by the EU’s COST-programme. She is the editor and author of a number of books and articles in several languages. The latest one is the anthology: The Twentieth Century in European Memory, Amsterdam 2017, co-edited with Tea Sindbaek Andersen.